IGMA is active in the transhipment of bulk cargoes, varying from agricultural products to coal and minerals. 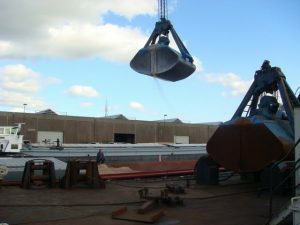 IGMA Bulk Terminal Amsterdam has more than 40 years of experience. Their trained professionals know how to handle bulk products and what the most advanced techniques are to successfully move cargo from the ship’s hold to barges, coasters and silos. CHALLENGE For the Figee lemniscate crane, a better working open gear grease was sought, since enormous forces are released on the toothing of the pivoting knobs and the top work of the turntable, and the previously used GreenLube HT-OT grease has not been left in place. The lubrication of the turntable left much to be desired, the grease was everywhere, except where it had to be. As a result, there was insufficient lubrication and protection of the turntable, causing considerable wear. 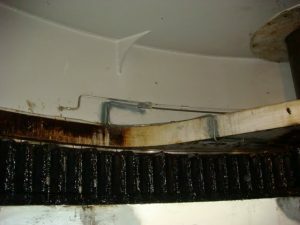 SOLUTION In September 2008, Frank Kleijn suggested to lubricate the turntable with SWEPCO 604 Outside Gear Lube, since this grease is more environmentally friendly and also, with extremely heavy loads, even in fresh, salted and brackish water, the open gears continuously are provided excellent protection. Consumption will also decrease, since re-lubrication has to be done less often AND with smaller quantities. SWEPCO 604 is an environmentally friendly lubricant. It is classified “Yellow” according to the SFT Norwegian Pollution Classification System. Due to the results achieved on the test crane all cranes were lubricated with SWEPCO 604 and in 2010 they switched to their successor, SWEPCO 164 EP Open Gear Grease. Since then even less grease has been used than already was achieved with SWEPCO 604. COMMENT “Since there are huge loads on the turntable, we were curious whether the teeth would be better protected with another lubricating grease. In this way the usability of the crane would be increased and the total maintenance costs would be reduced. After more than two years, we can state that the test has brought the desired improvement. After this, we started working with the successor, SWEPCO 164. 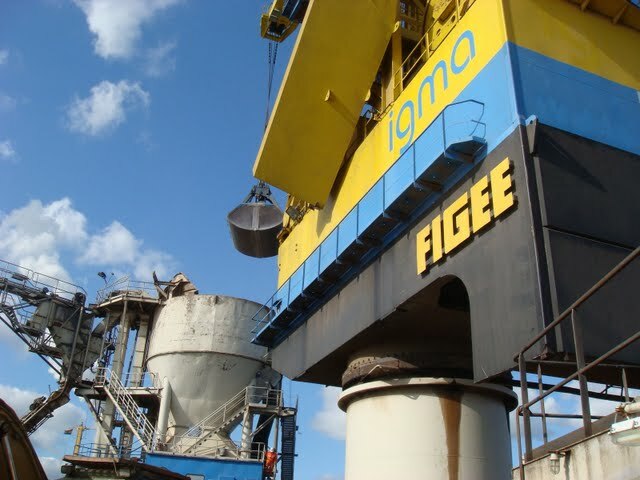 We also lubricate the cables of the cranes with SWEPCO 115 Food Machinery Grease for some years to significantly reduce the environmental impact of this environmentally friendly product compared to most conventional lubricants.” – F. Röttgering, Maintenance Supervisor IGMA Bulk Terminal Amsterdam.